How can I retrive all rows in a single call with out using limit parameter. Try to use limit = -1 or set -1 for Range Size in ADF BC REST collection definition. How can I change the connection to my Database, but instead of using a direct connection (Business Components) using a Weblogic DataSource? 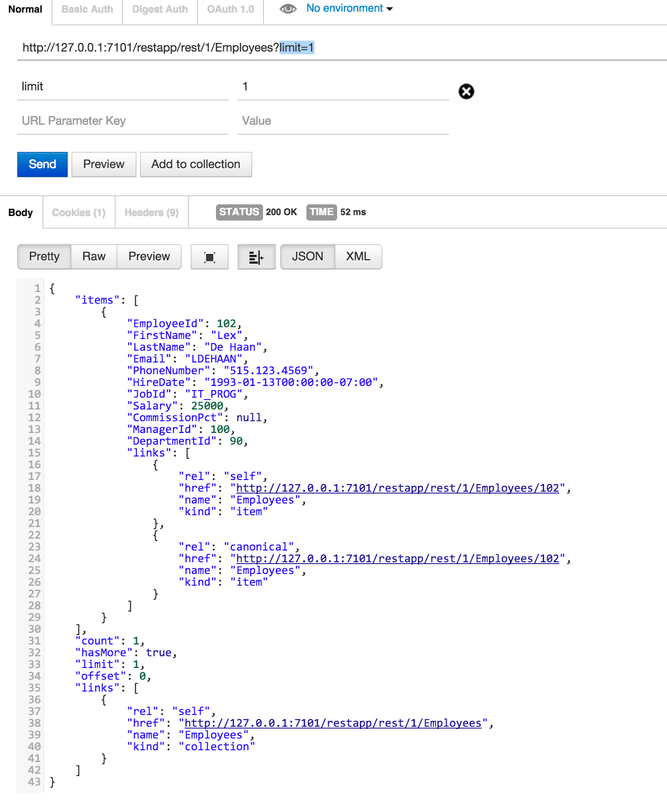 You can type Data Source name into AM config (use Data Source in ADF BC). 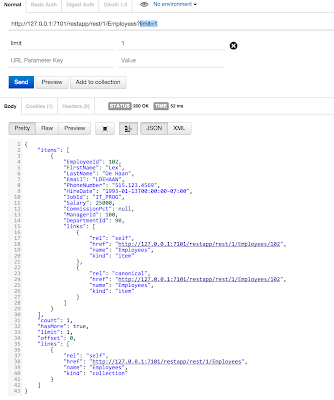 In previous version I had to remove the connection, change bc4j and web.xml files to reference the datasource. By any chance do you have any step by step? Yes, is pretty simple in new versions. 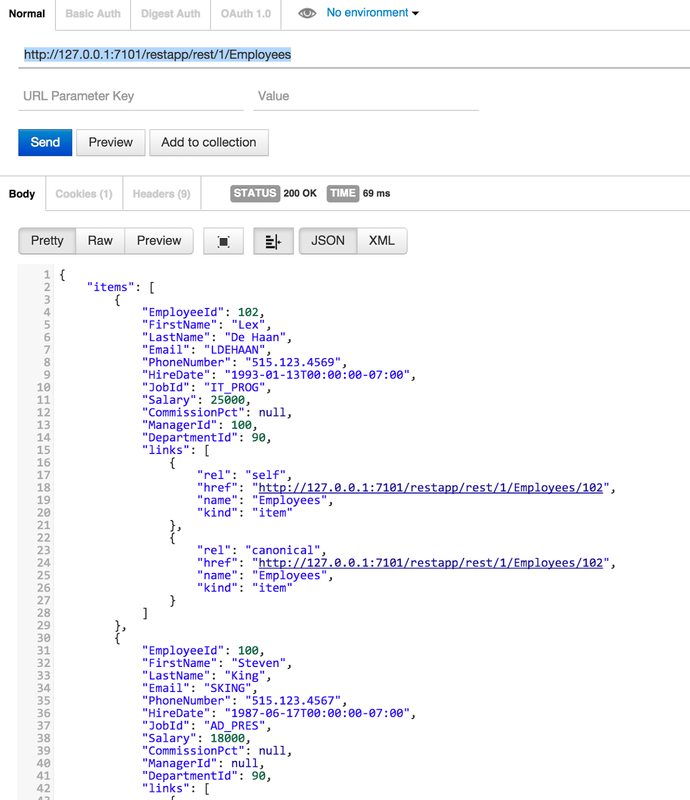 You dont need to remove connection or change anything in bc4j or web.xml. I think it is documented in ADF developer guilde. 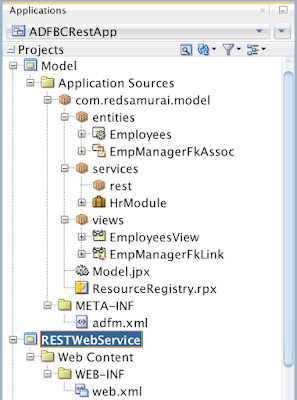 Is it possible to create Rest webservice on top of ADF BC using programmatic VOs which won't be having any EO? 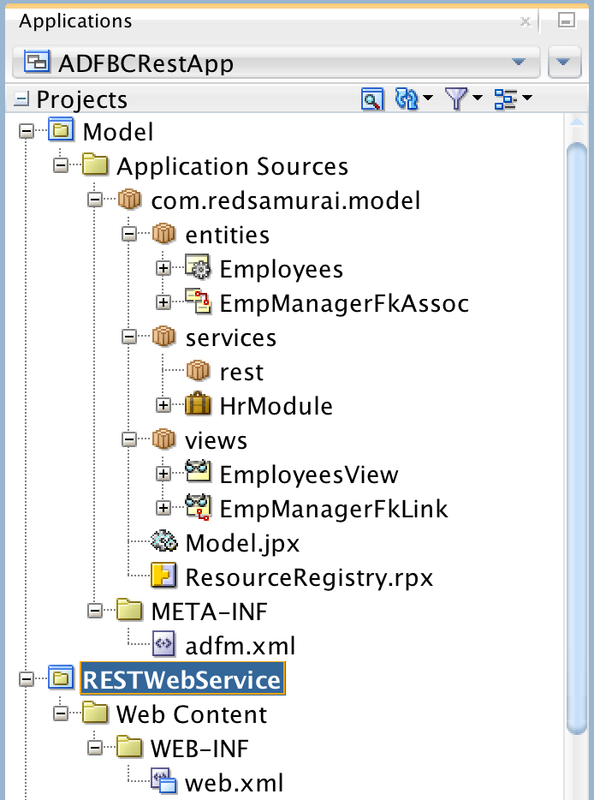 Yes, ADF BC REST is using VO's, it doesnt require EO. How to add a where clause ? 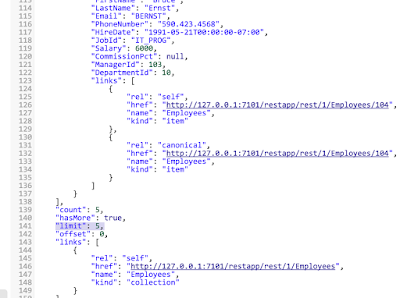 For example all rows from database with Sallary = 25000 ? 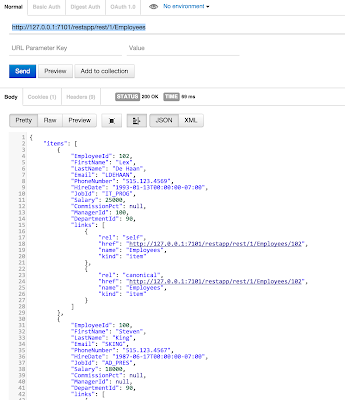 You can use ADF BC REST query params in REST URL request. is there any example for POST method. When i am trying , it's always showing the response code 415 Unsupported Media type. 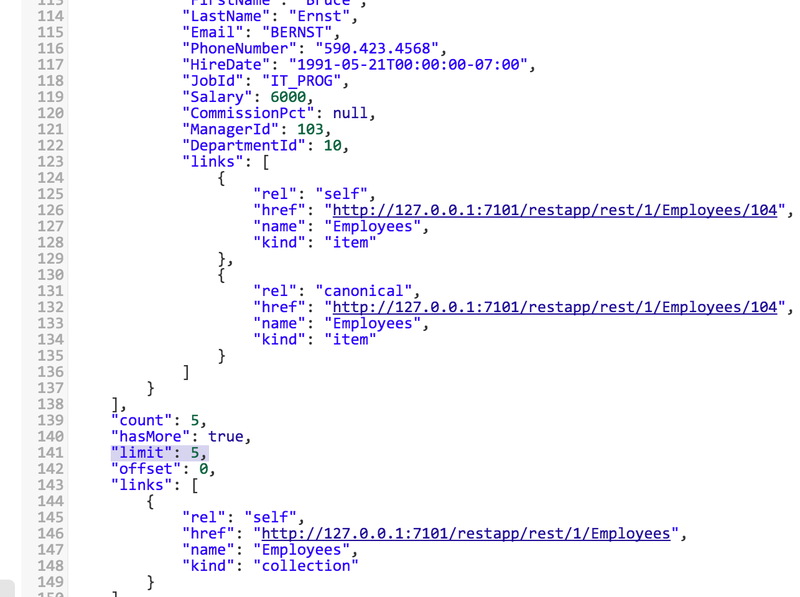 I copy the json payload from get result for a record and change the values and used that as the payload in the POST, i also added the content type as json, (also copied from the get result). But still showing the same response. You need to provide Content-Type, see example.